This is our place to share links, stories, and our dreams in the vertical. Rock on! First time: pulling a chest muscle by coughing too much. And then taking 2+ months to recover. Onsighted my first Indian Creek 5.11, Rump Roast II. After several months of not climbing because I had pulled a chest muscle. Accepted as a PhD student in geology at Stanford. Awarded an NSF Graduate Research Fellowship. Ran my longest ever trail race: 22k in Malibu. First time: in Zion, and first time on a multipitch free route in Zion – Sheer Lunacy. 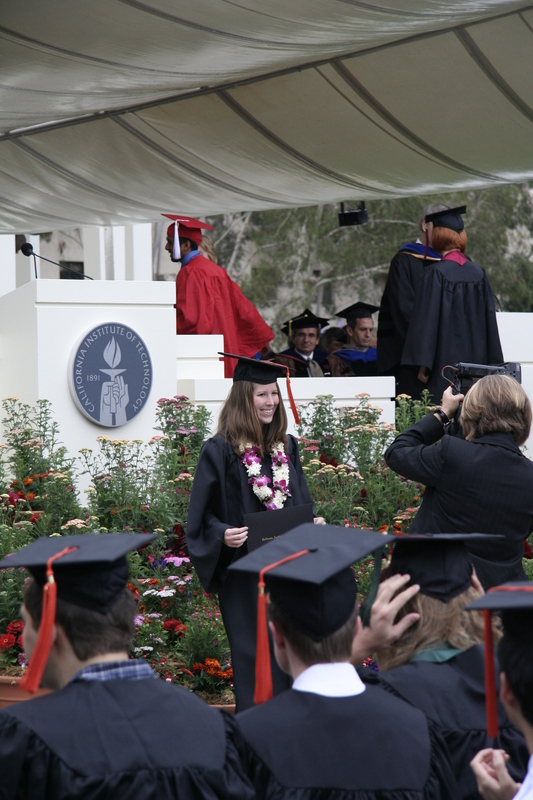 Graduated from Caltech with a B.S. in Geology. Returned to Smith Rock after not visiting for almost 5 years. First time: onsighting 5.11d (or sending any 5.11d, for that matter) – my dream route, Sunshine Dihedral. Returned to Squamish, one of my favorite areas to climb, and finally sent Crime of the Century, right before onsighting Yorkshire Gripper. Moved to Palo Alto, started climbing at Planet Granite Sunnyvale. First: duathlon. 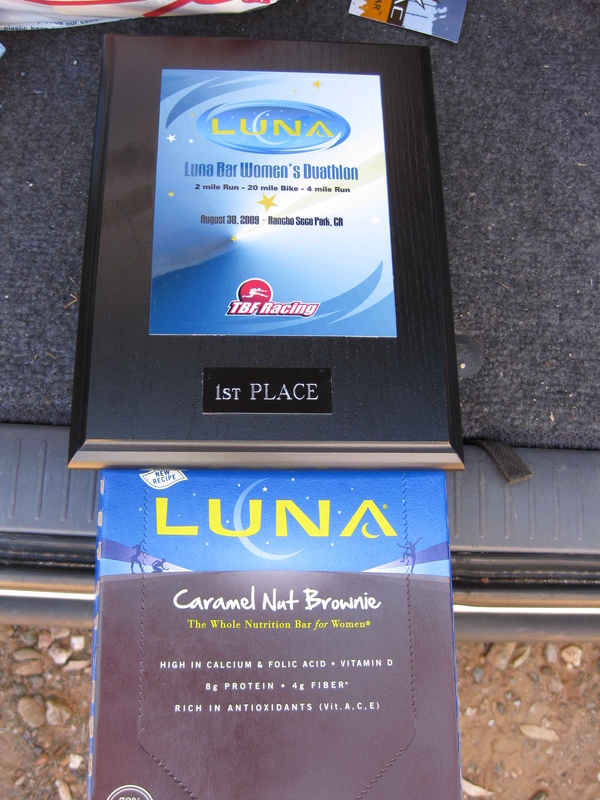 Competed in the Luna Bar Women’s Duathlon at the Luna Bar Women’s Triathlon Festival: 2mi run, 20mi bike, 4mi run. Started my first term of grad school at Stanford. Biked to school every single day. Visited Arkansas for the first time, on a geology field trip. First: Climbed my 1st, 2nd, and 3rd Yosemite 5.10s – 2 onsights and a redpoint. 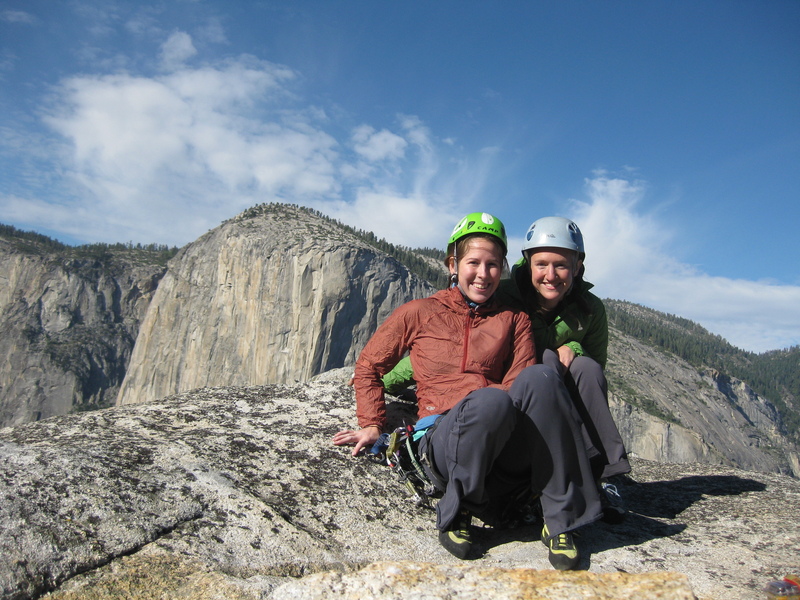 First: Climbed my first Yosemite 5.11, the crux pitch of South by Southwest, which I climbed with Sarah Kate. First time: Feeling like I am getting over being cripplingly intimidated of climbing in Yosemite. First time: attending a tweetup: #jtreetweetup! First time: getting the whole week of Thanksgiving off, prompting an awesome trip to Indian Creek. 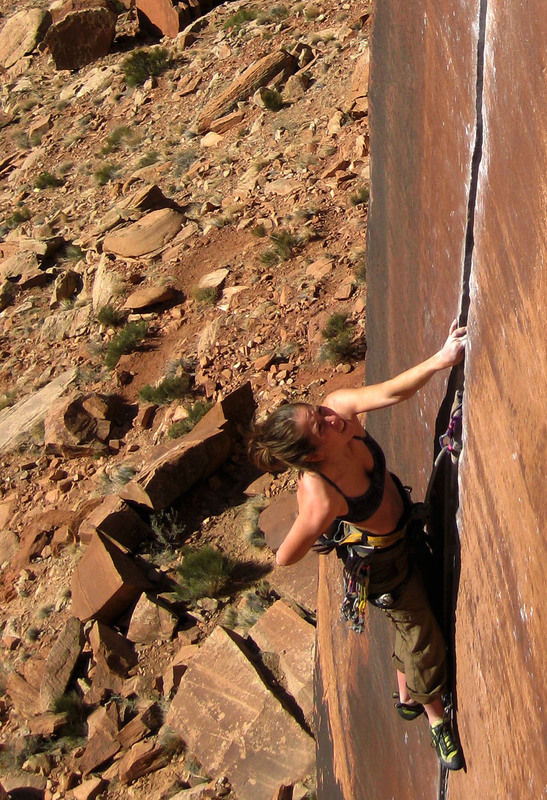 First: 5.11++ onsight in Indian Creek – Quarter of a Man. First: 5.11+ that felt easy… Coyne Crack. Finished my first term as a grad student at Stanford. First time: living less than 2 hours away from Luke – he moved to Mountain View! So, as you can tell, it’s been a great year, in both my lives (as a climber and a geologist). I think 2010 will be a really exciting year as well, as I start to get more involved in my research at school and I continue to train (and hopefully not get injured). Sarah Kate and I have a really big goal for next year in Yosemite, so hopefully that will keep us motivated! Also, Luke got me a triathlon wetsuit for Christmas, yet another reason to start training for a triathlon (or two!) 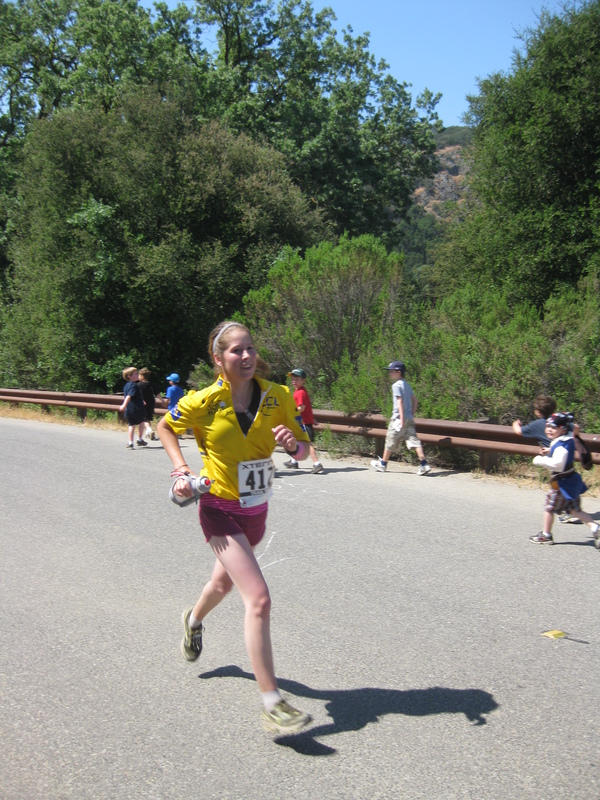 in 2010 – hopefully a sprint distance first and, if all goes well, an Olympic distance. The sky’s the limit! Happy New Year! Sounds like a Super Awesome year to me! Congratulations and all the best for 2010! Well done! It will be tough to top that, but i am sure your adventures in 2010 will be even more mind blowing 🙂 Hope to see you in the Valley at some point. nice job. im intrigued, what the goal in yosemite..? It’s a secret for now. I’ll blog about it later this spring when we’ve started training….